Heavily filled with a stiff maroon synthetic fill. 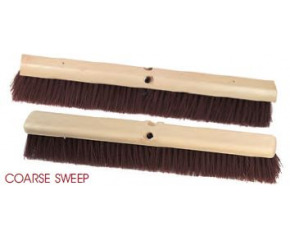 A good brush for garages, driveways, factories or warehouses. This fill is water and oil proof. Won’t mat down or load up.